Where do you want to live next year? …And so is everything else. That’s why choosing to live on-campus after your first-year is a wise decision. You’re closer to class, more connected with the things you love about college, and you get to continue enjoying the academic and personal support that comes with living in a residential community. Still need more reasons to register for next year? You are… Invested. Research shows that students who live on campus have higher GPAs. You are… Close. Class is only a few minutes away and parking is not an issue. You are… Wireless. On-campus housing provides access to free cable, computer labs and high-speed wireless Internet. You are… Secure. The safety of our residents is part of our mission. Trained staff is available 24 hours a day. You are… in a Community. Students who live on campus interact with and learn from people from all walks of life and from all over the world. You are… a Leader. Living on campus is ideal for involvement in student organizations and those leadership skills look great on a résumé. You are… Smart. The cost of living on campus can be significantly less than living off campus. Our all-inclusive package beats paying monthly bills any day. You are… Connected. On-campus residents report a higher satisfaction rate with their college career because they are living in the center of all the action. You are… Fun. Living in the residence halls is a social experience. There’s always someone around if you want to talk, study, eat, play or go to the game. You are… Committed. Committed to your education, committed to your future, committed to the G. Whichever way you put it, you have made being a student your top priority. You are… oh well, you get the point: You are here, and so is everything else! So, where do you see yourself living next year? Do you want to be in apartment-style living in East Campus Village or with your best friend in a suite at the new Brown Hall at the Health Sciences Campus? Let us know! 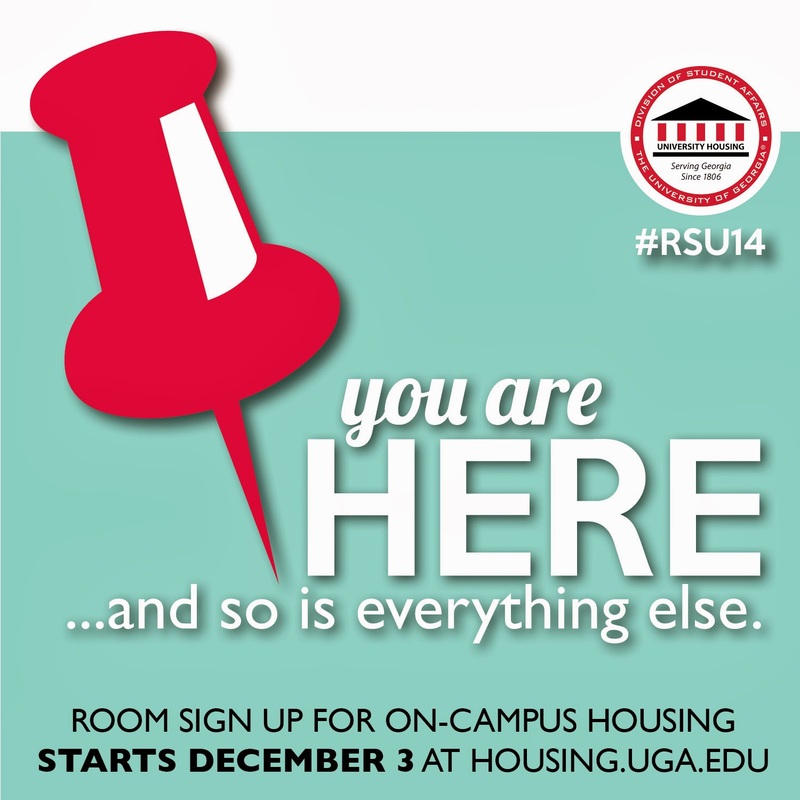 On Tuesdays in November, use the hashtag #RSU14 in pictures of where you want to be next year and enter to win a first-round appointment in the room sign-up process for next year. You’ll be one of the first people to choose your space! We’ll select winners on 11/5, 11/12, and 11/19, so start planning NOW! 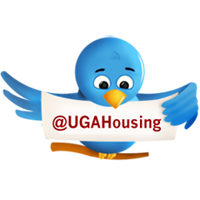 Beginning December 3, returning residents will have the opportunity to apply online for housing for the 2014-2015 academic year. Now is the time to think about potential roommates and begin researching hall information to see floor plans and rates. For more information on the room sign-up process including important dates and FAQs, visit: housing.uga.edu.